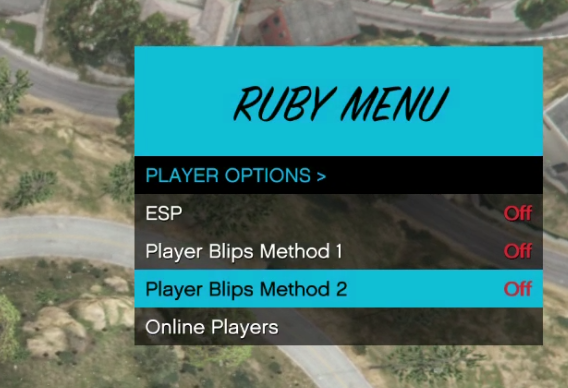 Welcome to the Ruby Menu forums for FiveM - An mod menu not made for troller. 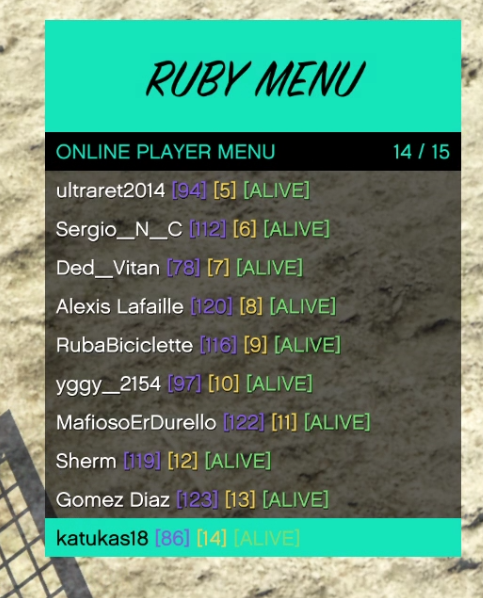 Added some security for the Anti Cheat "Anti Cheese"
Update avalaible for all menu users, ask an update of you'r menu in private message. 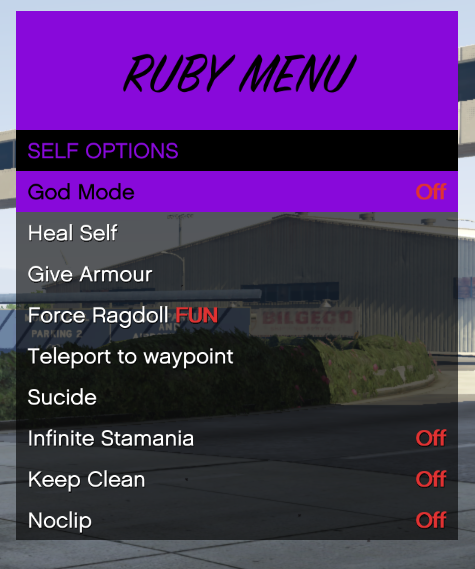 This update is not avalaible for current menu user, this is only shared to show you on what i am working on. 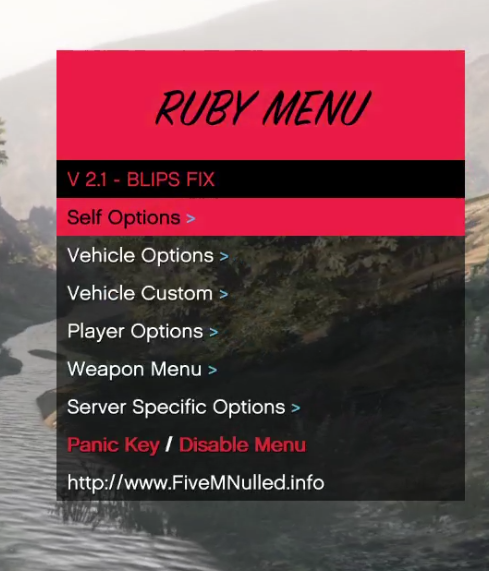 How to have Ruby Menu ?